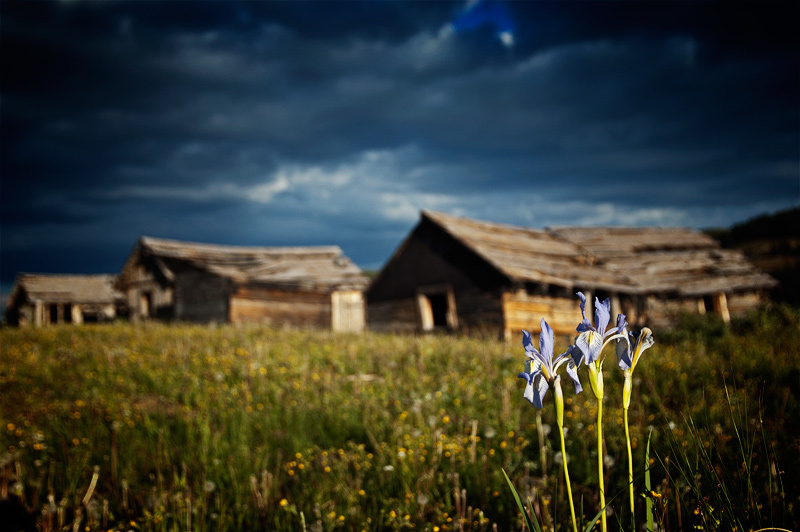 I headed south yesterday to visit the ghost town of Summitville, CO. While I shot the usual Holga and Velvia 100 slide film, I took the digital Nikon D70s as back up and I couldn\’t wait to post something from the trip. What a unique shot. It reminds me of Greek tragedies – with the three iris set apart. This is so pretty. Great use of DOF. Wonderful photo, I like the focus, the colours and this calm atmosphere.